... I ate a big bucket of Popcorn. 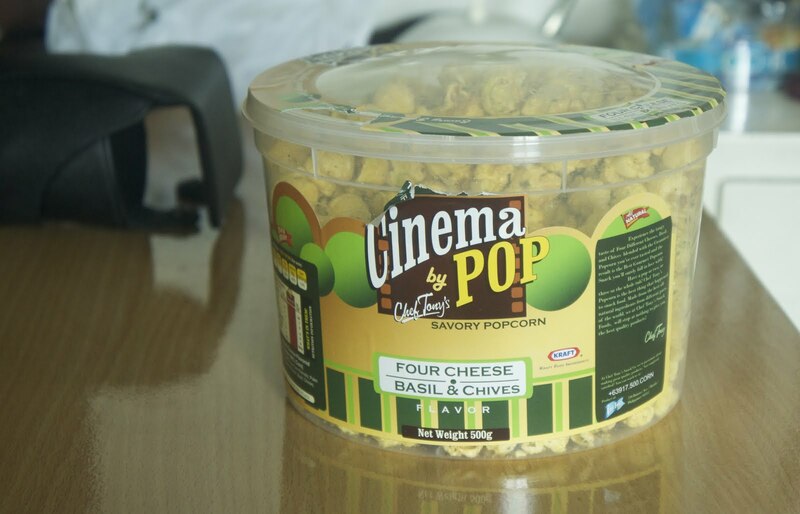 This is my favorite brand: Cinema Pop by Chef Tony's. I was grabbing my very healthy "Tomato, Cucumber, and Carrot Shake" and there it was. 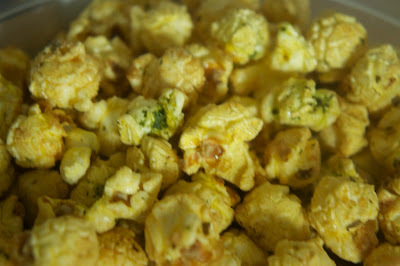 It was calling out my name - and I was drawn to its flavor: Four Cheese Basil & Chives. If you tell my trainer - he will make me run for a full hour instead of the fifteen minutes that I now run. Please! Do not tell my trainer of this indulgent treat and I promise the next time that I get tempted, I will share whatever I was eating with you.